Through Petals Flowers Darwin, Northern Territory you are able to send a huge range of premium quality flower bouquets, arrangements, roses, and more to be delivered to Darwin and Darwin's surrounding areas and throughout Australia. Beautiful flowers delivered by local florists to Darwin! Darwin Wedding Florists Weddings are the perfect occation for flowers. Our florists can design beautiful bridal bouquets and wedding flowers for your wedding ceremony and your reception. Our florist in Darwin will design wedding flowers that you will remember for years to come. To Say Congratulations - Has one of your friends or loved ones recently achieved a major promotion that they'd been working towards for ages? Has someone else just announced their engagement and wedding plans? Why not show that you understand how much it means to them by sending an arrangement or bouquet? You might also like to add balloons? A meaningful card message would also top their moment off! Petals Network has a network of over 1000 florists Australia wide to provide you with beautiful fresh flowers delivered same day. If you want to send flowers online to the Darwin area, we will have a local Darwin florist deliver the freshest flowers available to the door! We have a wide range of flowers, roses, bouquets gift baskets and arrangements to suit any occasion including a birthday, an anniversary, a new born baby, romance, sympathy, funeral, natives and flowers just to say thank you. If you want a local florist near Darwin to deliver the freshest flowers to Darwin. Flowers delivered to Darwin! That's what Petals can offer you. Petals florists serving Darwin, NT will prepare your flowers on the day of delivery so that they arrive fresh to the recipient. 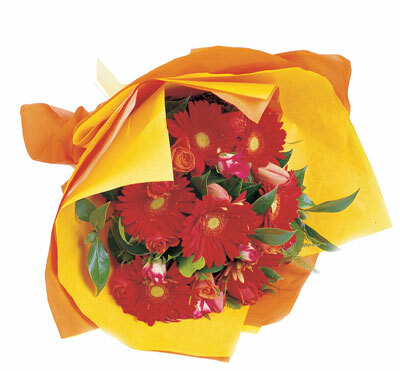 You will find a great range of beautiful flowers available for delivery to Darwin. We have wonderful bouquets, arrangements, seasonal flowers and even gifts and gift baskets available for deliver. Find the right florist in Darwin. We have all sorts of flowers available for delivery to Darwin. Need flowers to be sent to Darwin? With Petals Darwin, Northern Territory we will have a local florist deliver only the freshest flowers available. Flowers freshly delivered by local florists - that's the Petals Difference. Need gifts to Darwin? Visit Petals Network's gift web site, . Send gifts to Darwin, Northern Territory with Grumleys. Grumleys has a large range of gifts for all occasions including birthdays, anniversaries, celebrations and new baby congratulations.